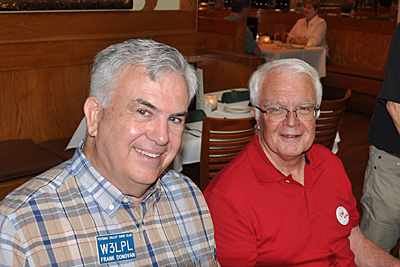 Frank W3LPL and Peter W1UU at the North American CW Dinner in Falls Church near Washington DC. 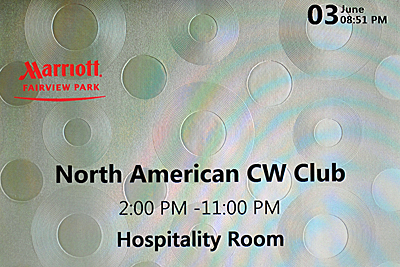 Hospitality Room for the North American CW weekend. 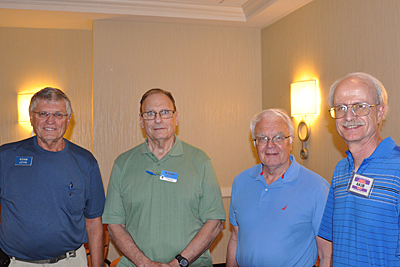 John N3AM, Bob N2UU, Peter W1UU and Bud AA3B. 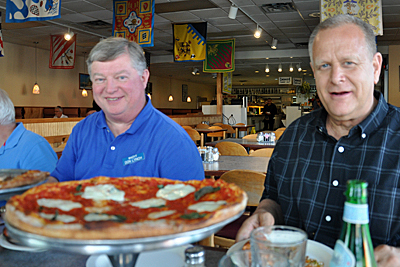 The North American CW Weekend organiser Don W4ZYT with Don K6ZO at the pizza parlour. 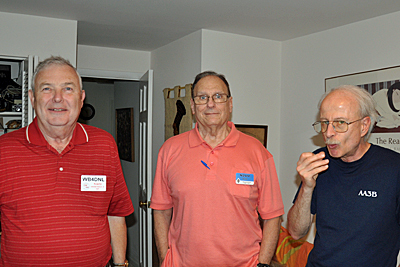 Gary WB4DNL, Frank K1EBY and Don W4ZYT. 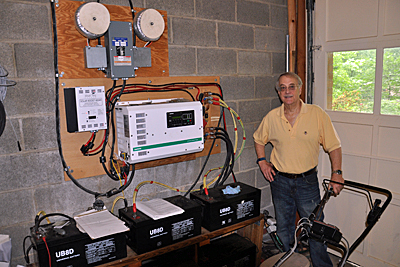 Jim N3JT explains his elaborate solar and battery power back-up system. 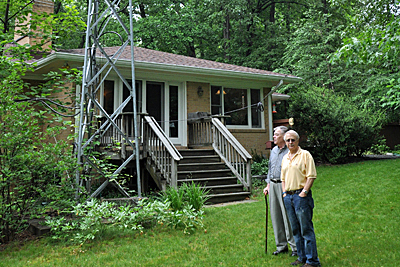 Frank K1EBY and Jim N3JT at the base of Jim's self-supporting tower. 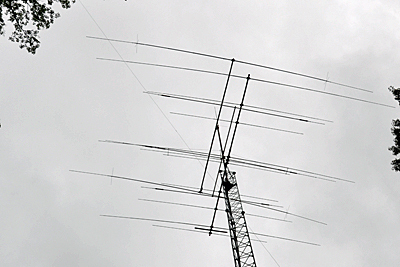 Multiple antennas on Jim N3JT's tower. 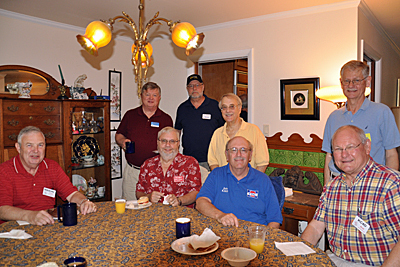 Gary WB4DNL, Don W4ZYT, Larry K7SV, John NR4M, Jim N3JT, John K3MD, John K4HQK and Bill KC4D. 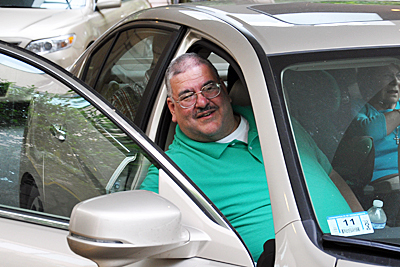 Steve NR4M (eating a bagel! 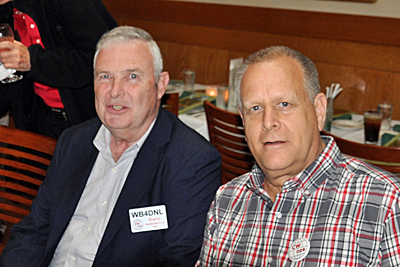 ), Gary WB4DNL and John N3AM. 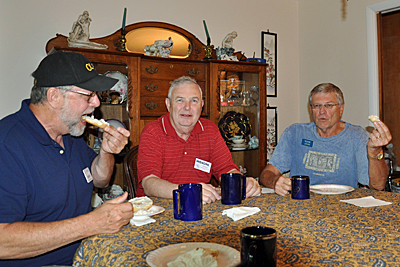 Gary WB4DNL, Bob N2UU and Bud AA3B. 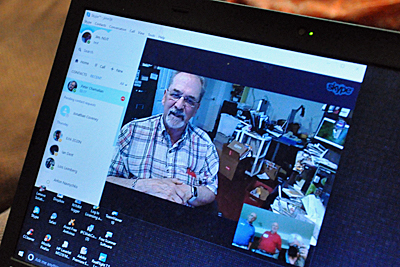 Pete W1RM who has attended every North American CW Dinner since 1972 was unable to attend, joined in on Skype! 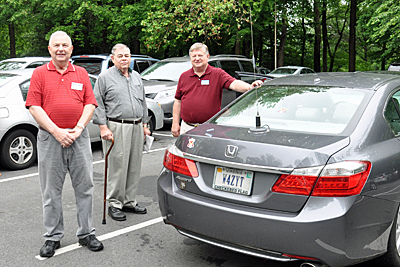 Working Field Day station GW0AAA/p as KB1KAA was a high-light of the trip. 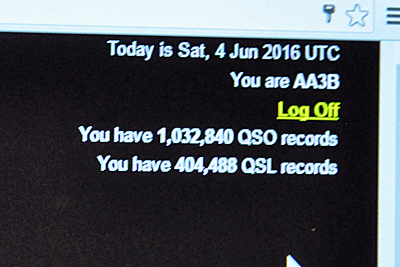 52 QSOs were made in the EU Field Day. 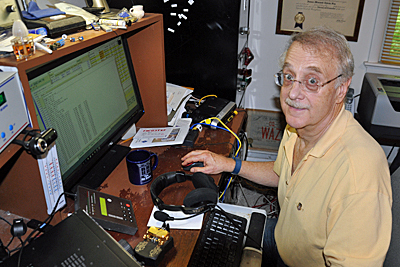 Jim N3JT at his well equipped station. 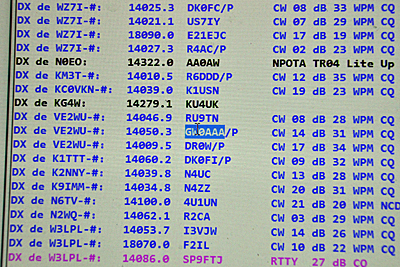 Bud AA3B is one of a probably quite small number of LoTW users who have uploaded over 1,000,000 QSOs. 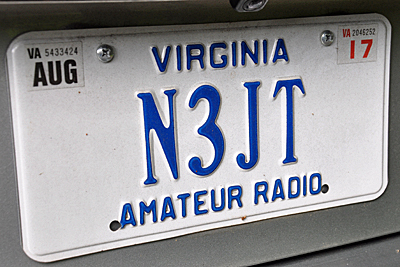 Jim N3JT's car licence plate. 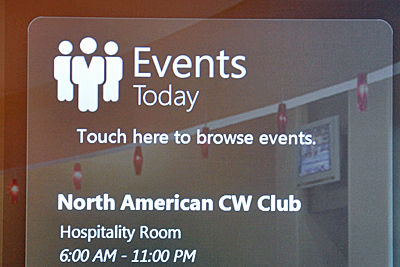 The Events today listing in the Marriott, Falls Church. 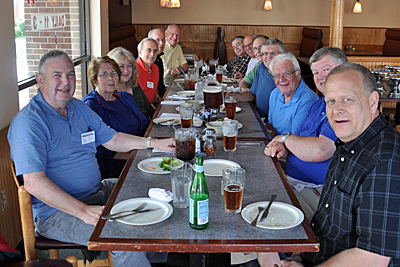 Pat K0OO joins Peter W1UU for the ride to the North American CW Dinner.